Hello friends, I hope all is well in your world. Last Saturday night while watching a SNL rerun, with Kevin Hart as the host, which by the way was hilarious, I found a few OOTD pics that I had forgotten to post. 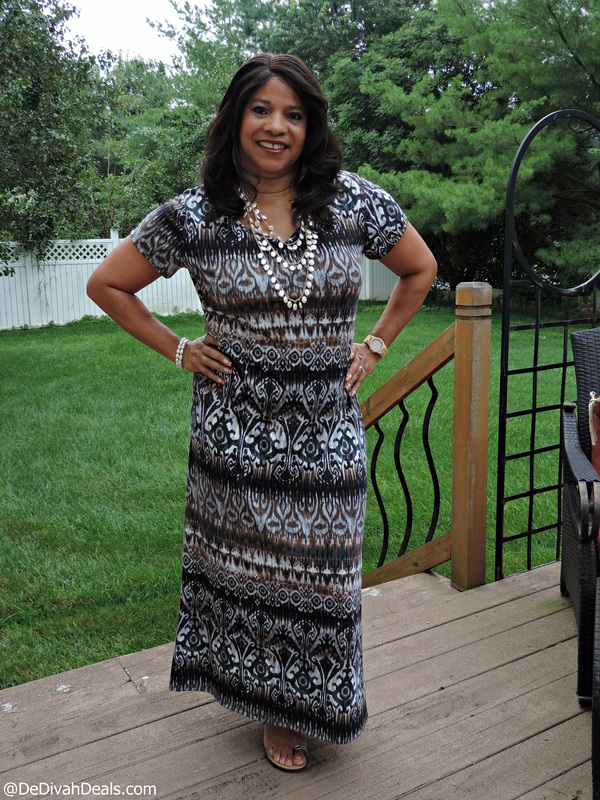 This is one of the maxi dresses that I had purchased from Ross Dress for Less while shopping for a vacation wardrobe. I love Ross Dress for Less prices which makes it difficult to not purchase more than I’ve intended to do, which is why this one was just one of four! Have you checked out Ross Dress for Less this season? 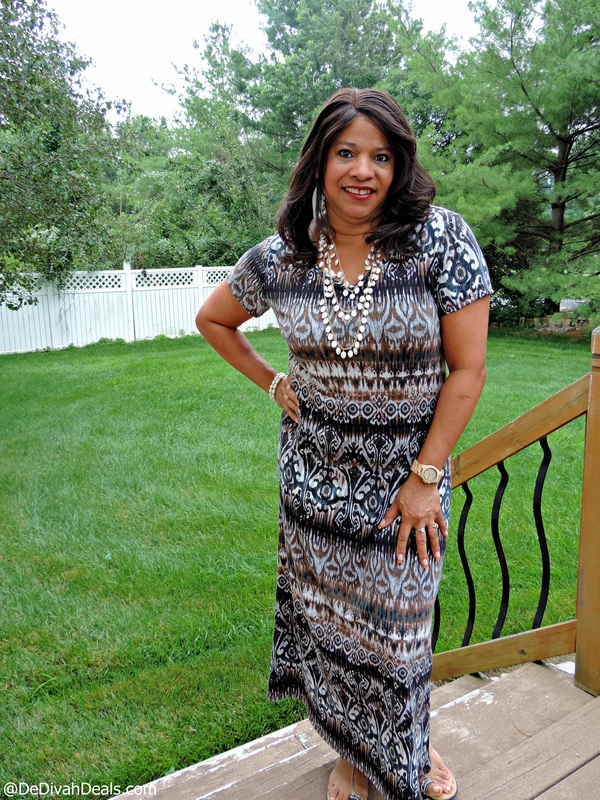 I like this particular maxi dress because of the color and pattern, which can easily transition into the Fall season. I’ll probably add a blazer or cardigan, a pair of kitten heel pumps and then be ready for whatever Mother Nature decides to throw her way on that particular day. Are maxi dresses part of your summer to fall wardrobe? 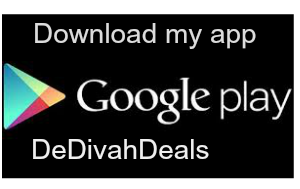 Thank you, I will definitely get a lot of use out of it. 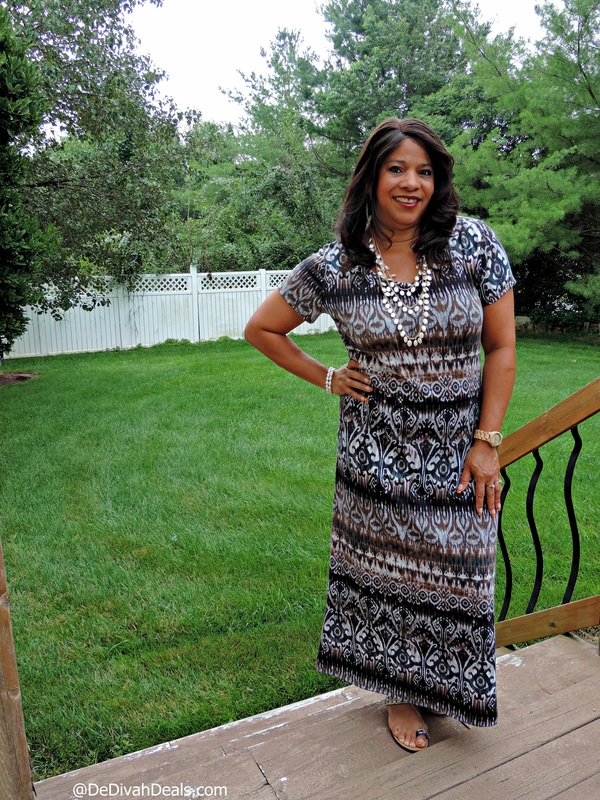 Absolutely LOVE this maxi, sis! 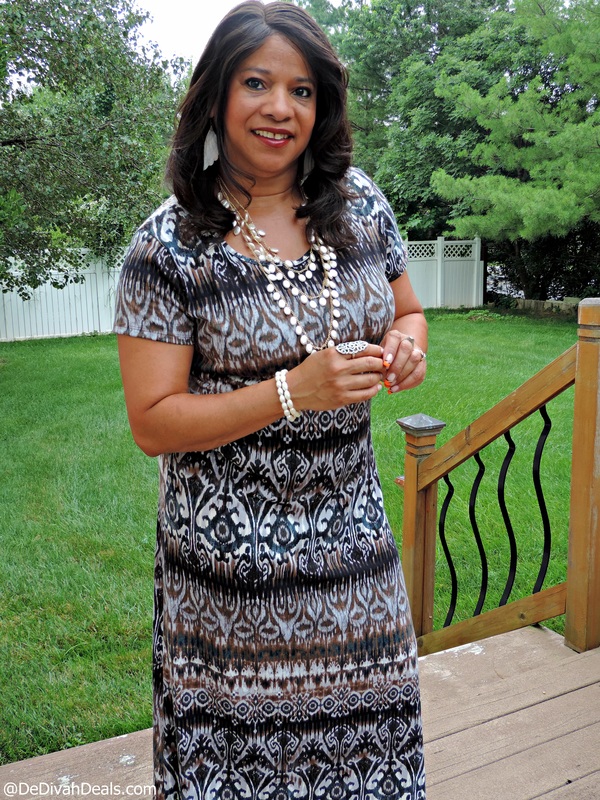 Thank you – it’s such a great dress for work and church. Love the dress! Yes, maxi dresses can be worn during the fall months too with a light sweater. Thank you, I love wearing them with booties and jackets too! Thanks, I love Ross and am always prepared to buy more than I had intended. Hope you are enjoying the week. Great dress – I love maxi dresses. I feel like I am on vacation, even when I am stuck at home! Yes, they have become my go-to attire on the weekends – I feel more comfortable. Hope you are enjoying the day.